A vast lagoon, protected by a coral reef, including an archipelago of small islands, among them, the highly commended Caret island . 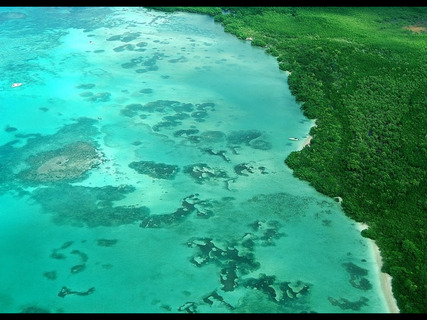 Departure is mainly from the Gosier or St Rose marina, the archipelago is classified as a bio-sphere reserve by UNESCO. 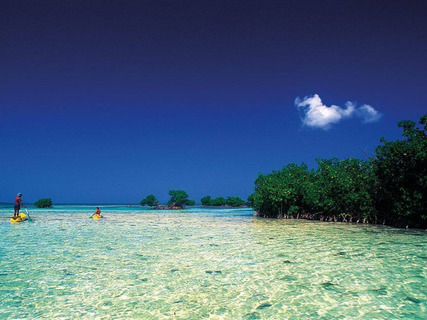 This area includes a huge mangrove forest, a lot of reefs, several sand bars and small islands. It was beautiful. We took a trip from the St Rose marina to see it all. It was well worth it. We did Passion Blue Caribe. It was great.